Top fermented beer with refermentation in the bottle. A melange of 4 special malts results into this unusual colour, light darkbrown going into russet. The aromas of hop and special malts are creating the dominating taste in this beer. 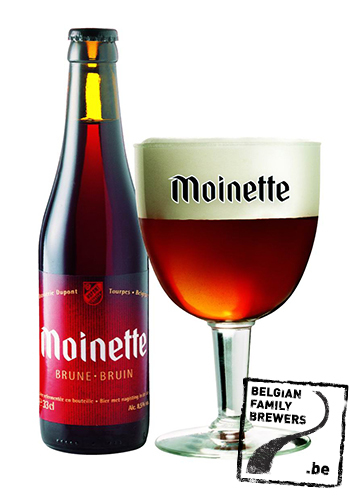 The “Moinette brune” combines a slightly bitterness with a complex fruity touch. 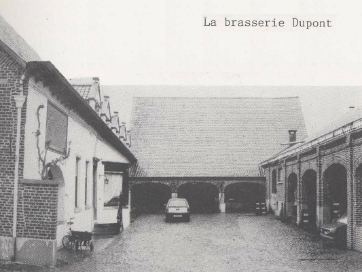 The brewery Dupont, family owned since 1920, is co-writer of a real part of the Belgian beer history. Situated in Tourpes (West Hainaut) and incorporated in an old farm dating from 1759, the brewing activity has been going on since 1844.